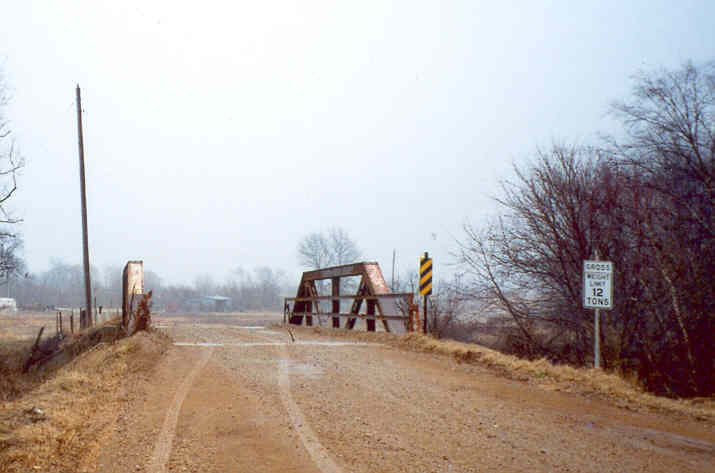 This little riveted 4-panel Pratt pony truss is located on an east-west road 1 mile south of the Oklahoma-Kansas State line. It was built in the 1920's. The bridge has its original concrete deck and channel rails.